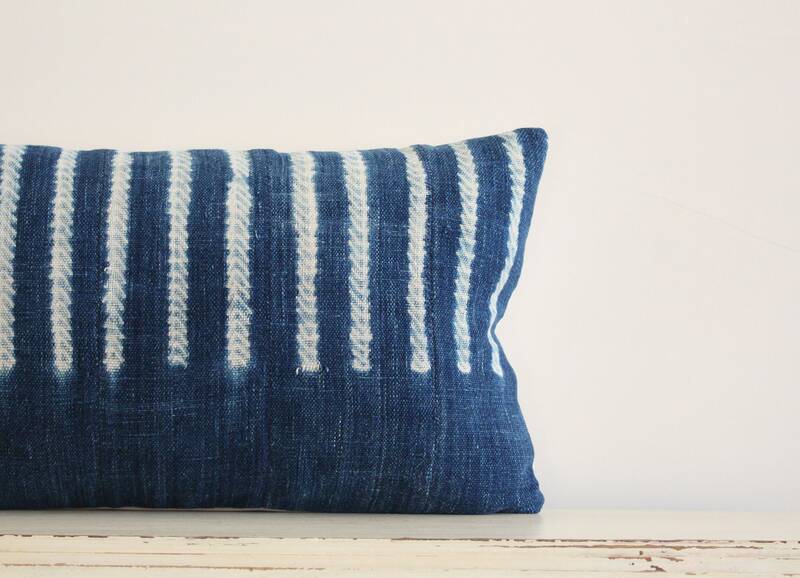 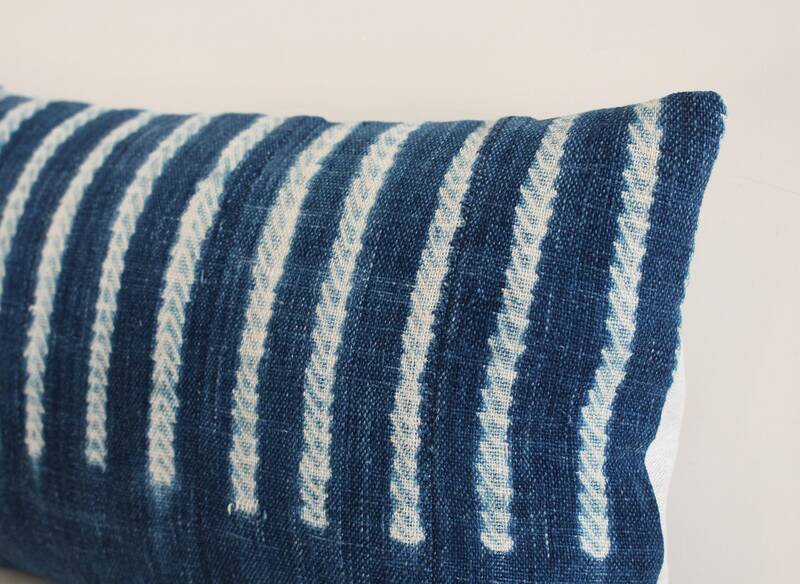 Vintage indigo shibori African mudcloth pillow / cushion cover 12" x 20"
This vintage shibori style cushion cover has been made using a hand-woven and hand dyed indigo mudcloth from Mali. 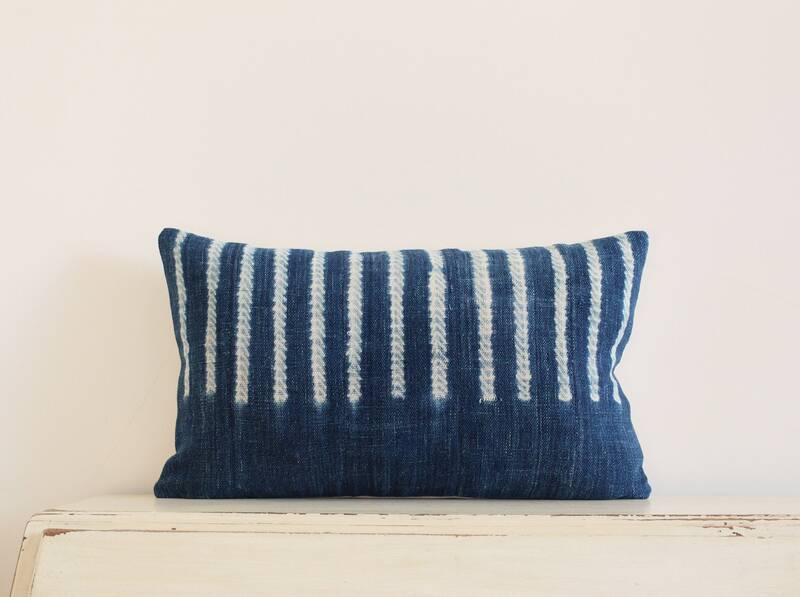 Narrow strips of handwoven cotton approximately 5 inch's wide are stitched together to make a whole cloth. 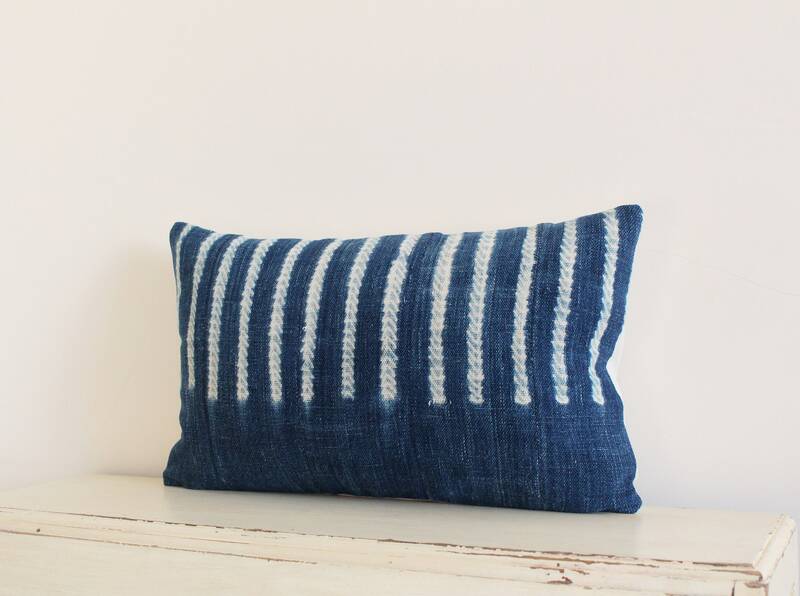 The cloth is then dip-dyed in indigo after using a hand-stitched resist method. 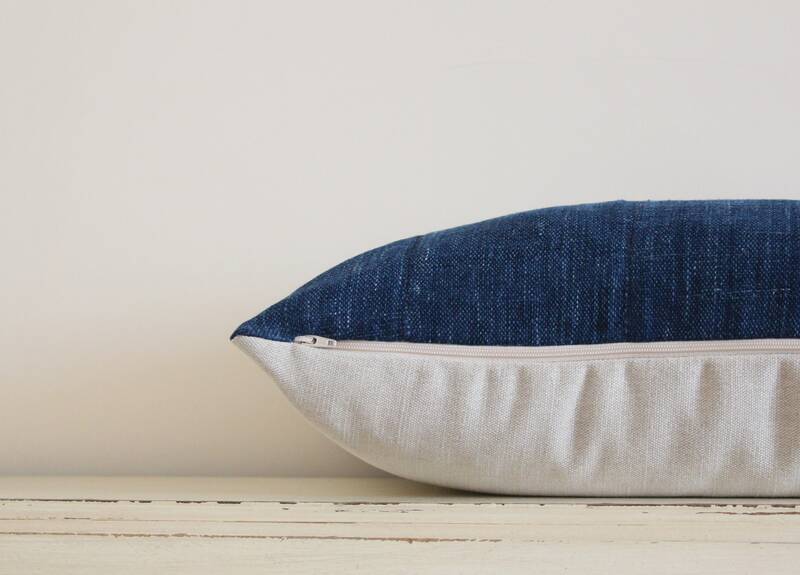 The back is plain cream 55% linen and 45% cotton and the cushion closes with a zip at the bottom.